A reliable source has informed Kurdistan Human Rights Network (KHRN) that Omar Chapr, a Kurdish political prisoner from North Kurdistan (southeastern Turkey), has been removed from his ward in Orumiye prison and transferred to an unknown location by Iranian security forces. A court recently decided that Omar Chapr, who has been in prison for 8 years, should be released conditionally. Based on reports it is believed that Chapr has been handed over to the Turkish government by Iranian intelligence forces. The source explained that Omar Chapr is from the Kurdish city of Diyarbakir and was arrested alongside six other people by the Iranian border of Tergever near Orumiye city in autumn 2006. After several months in the custody of the Iranian Revolutionary Guards, Chapr was transferred to Orumiye Central Prison. The Revolutionary Court of Orumiye sentenced him to 13 years in prison for being a member of the Kurdistan Workers’ Party, PKK. The source told KHRN that following a widespread hunger strike by Kurdish political prisoners in several prisons across Iran, Omar Chapr was transferred to the Ardabil Prison. 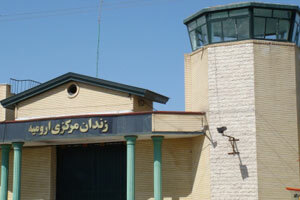 Chapr engaged in a hunger strike for the third time in this prison in 2010 to protest the pressure and torture he was subjected to by intelligence and prison authorities. The source added that prison authorities summoned Chapr on September 11, 2015 and informed him that the court had agreed to his conditional release and that he was soon to be released. He was transferred to the detention facility of foreigners the same day but 4 days later a group consisting of intelligence officials took him with them. Despite his lawyers efforts, the fate and whereabouts of Omar Chapr is still unknown. It is highly propable that Chapr has been handed over to Turkish authorities considering the fact that the men he was arrested with have all been turned over to Turkey in the last 4 years. This article has been cross-posted from Kurdistan Human Rights Network, a collaborating partner of the Alliance for Kurdish Rights.